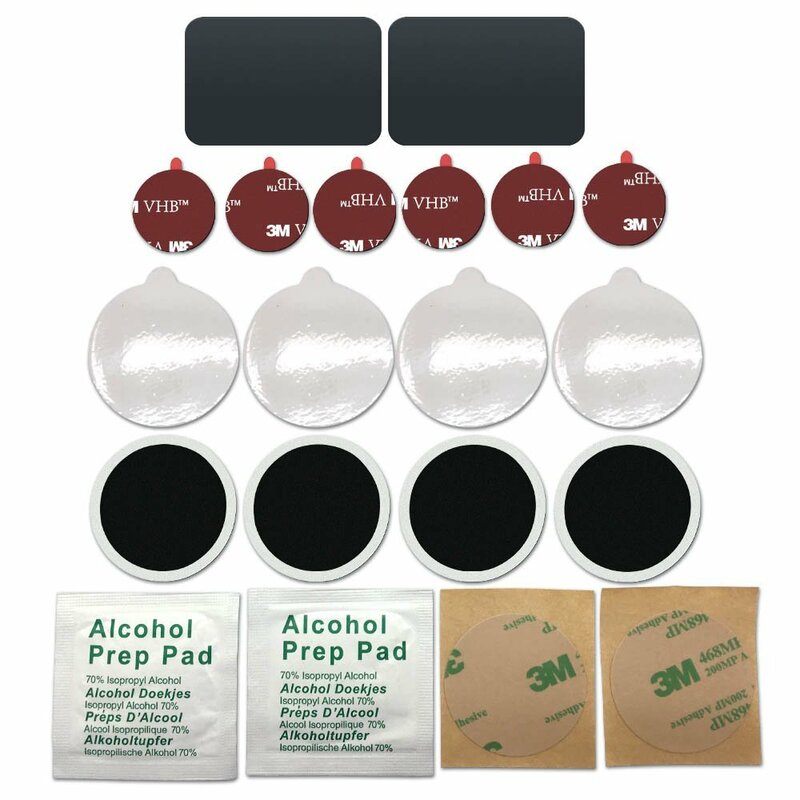 Helpful replacement kits for magnetic car mount. 1. Works with magnet mount designed to hold devices with metal plates. 2. 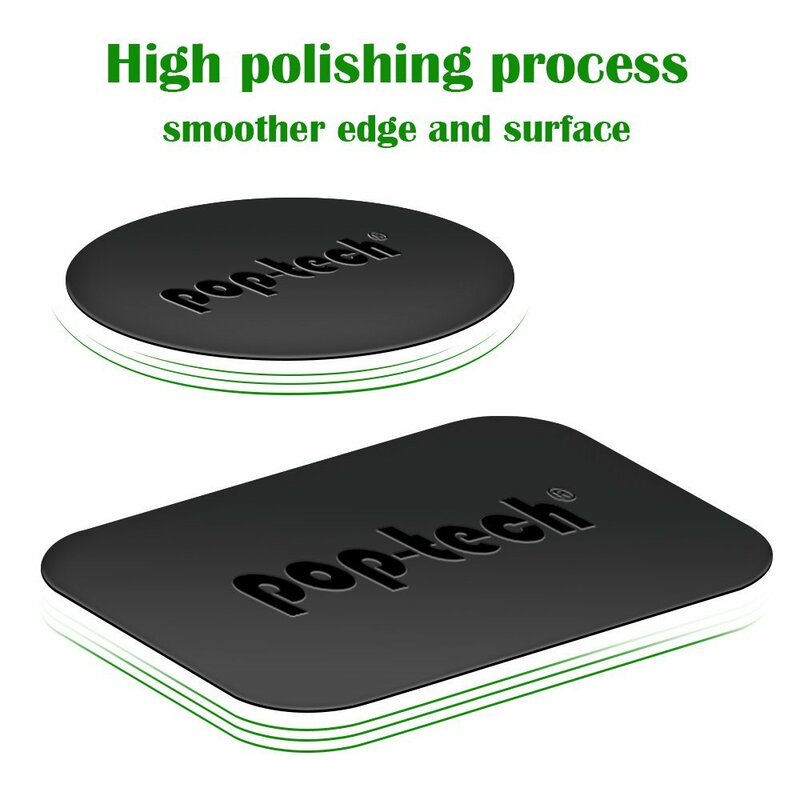 Extremely functionnal replacement mount plate kits to make the magnetic mount work well, and the magnetic plate will never scratch your devices. 3. 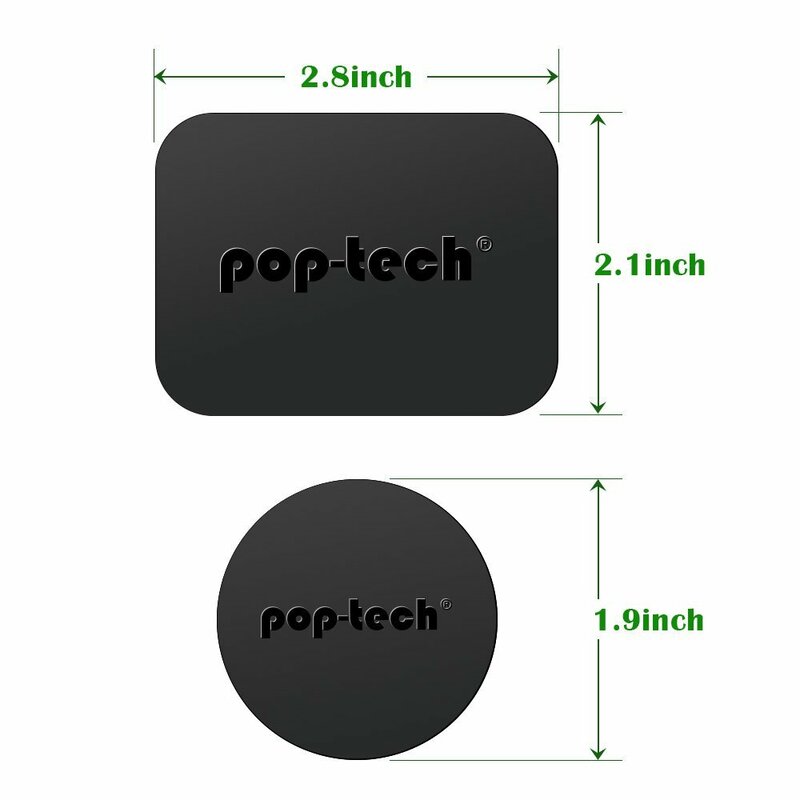 This magnetic mount plate is designed with rounded corners that easily sticks to the back of devices and the magnetic mount, so that the device can be securely held in place. 4. The size of the rectangular magnetic plate is made to support all devices and steady mounting of them onto the magnet mount. 5. 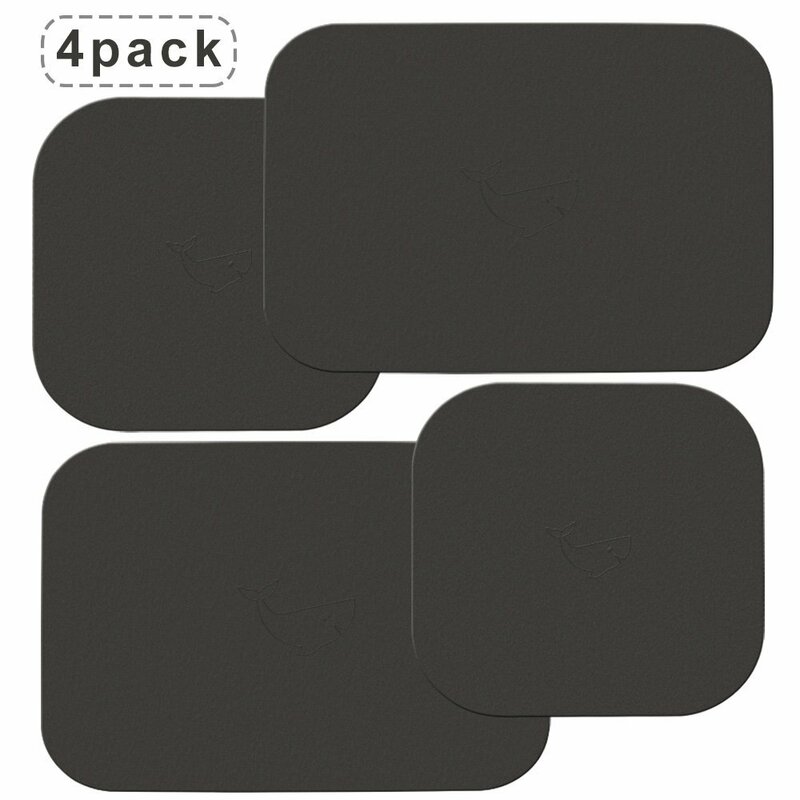 The 4 clear protective sticker are used to prevent attaching anything directly to your device. 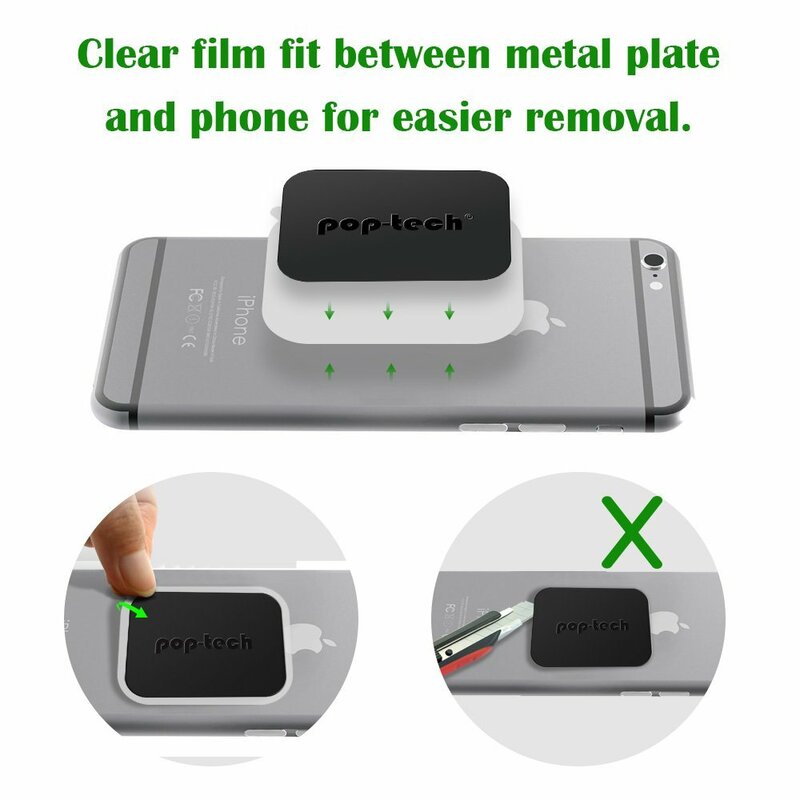 -- Stick the clear sticker outside of your phone case, then place the metal plate onto it. 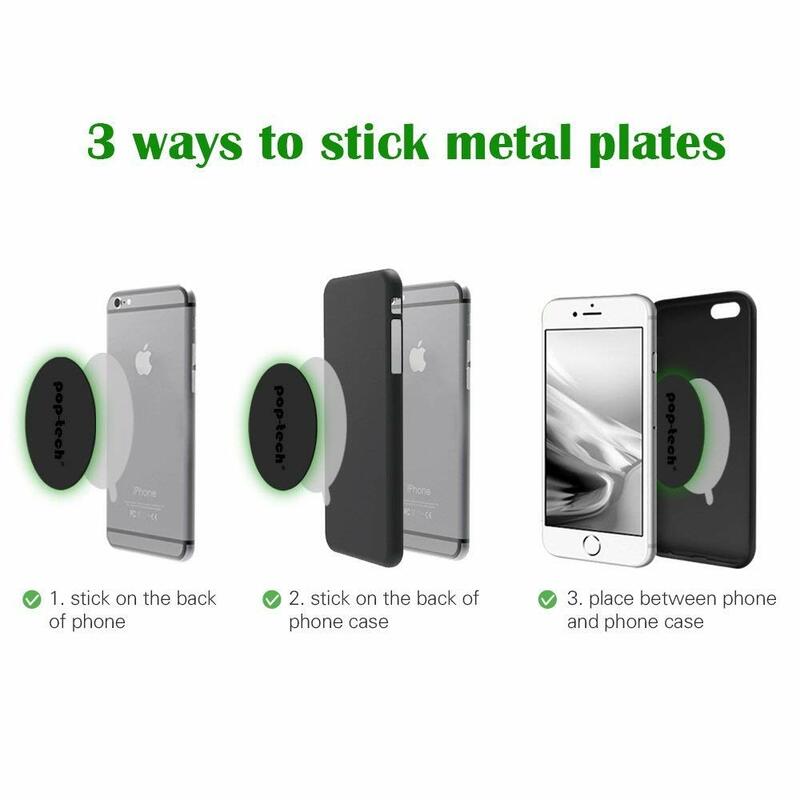 -- Stick the clear sticker on the back of your phone firstly, then place the metal plate onto it. 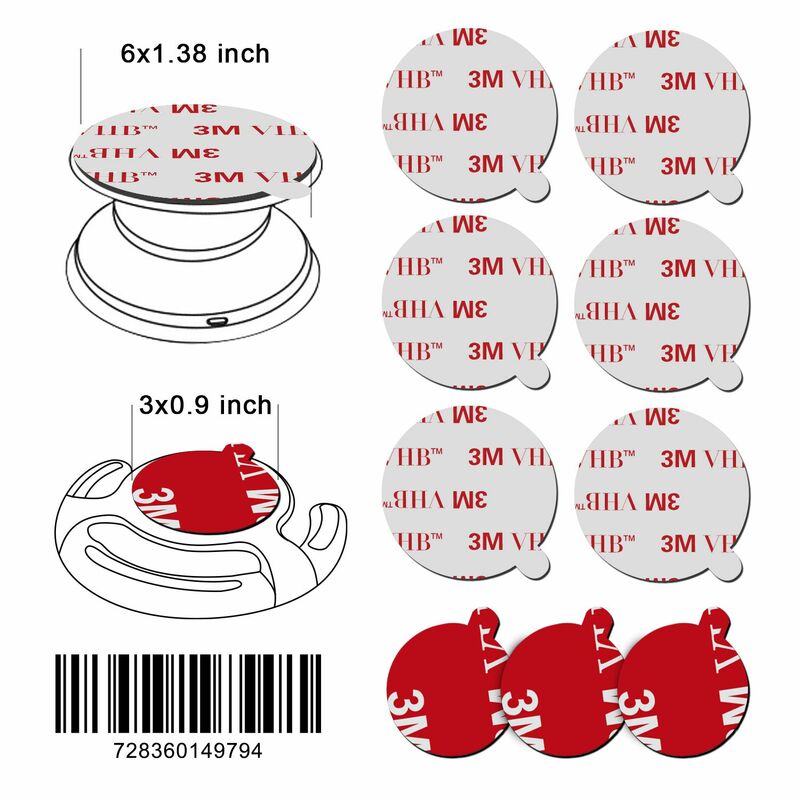 Note: The 3M adhesive with the metal plate can not be used twice. For customers with BIGGER AND BULKIER phones, please first check if the magnetic car mount you have/you purchased is strong enough to support your phone. Your MAGNETIC car mount will determine how well OUR PRODUCT work. Sticky Adhesive Replacement for Socket Mount,. 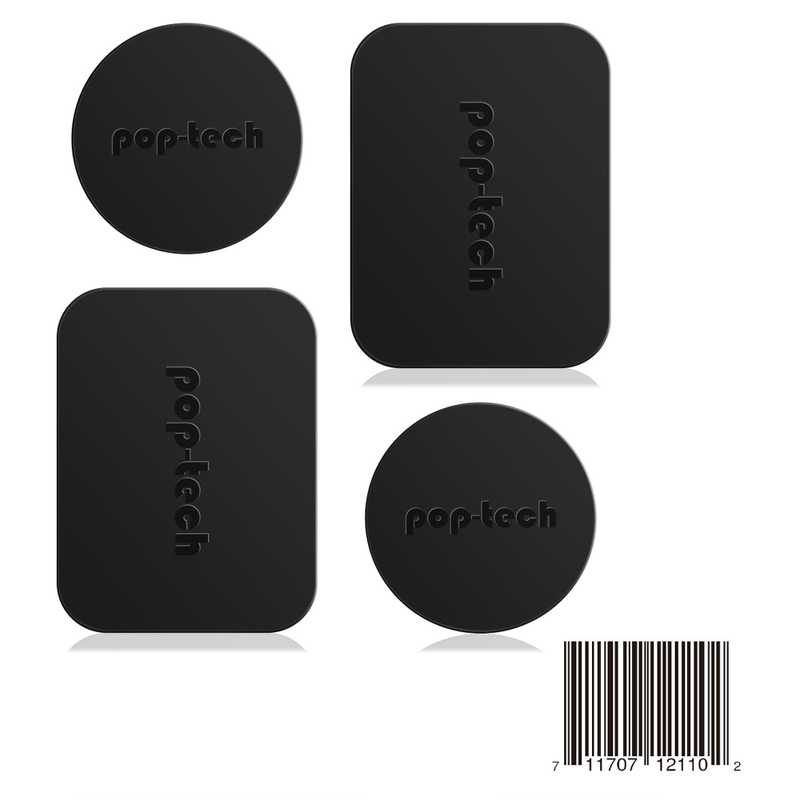 Metal Plate, Pop-Tech 4 Pack Universal Mount . 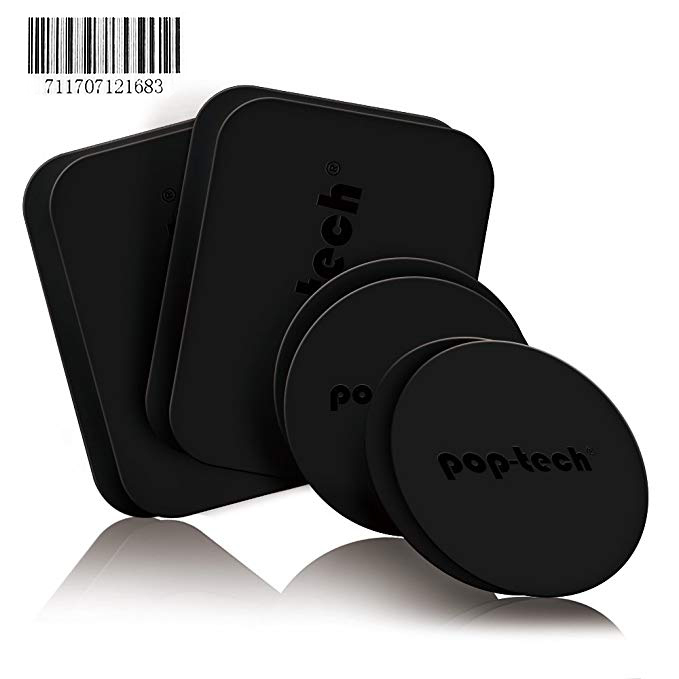 Pop-Tech Universal Car Mount Accessories Pack. Metal Mounting Plate for Magnet Mount with 3M.